Lauren wanted to lose her old blonde for the Autumn and get right on trend with this seasons colours. 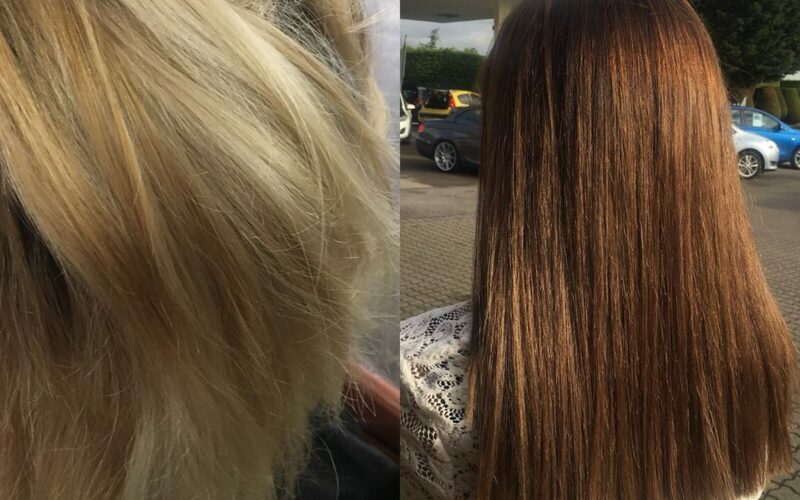 With the help of Olaplex treatment I used Redken Shades EQ Gloss and Redken Chromatics to create this multi-tonal brunette result. With the help of Olaplex and Redken this left the hair condition feeling strong with amazing shine.